Adjoining the seaside setting for the annual Vancouver Folk Musical festival, there is a park bench on the seawalk with a modest plaque that appropriately commemorates Hilda and Phil Thomas, the Pete Seeger of B.C. Having spent most of his adult life both singing and collecting indigenous songs, Thomas compiled the most essential book on the folk music of the province, Songs of the Pacific Northwest (1979). Until he died at age 85 in 2007, Phil Thomas remained active as a banjo player, singer and composer in the Alma Y Folk Circle, an organization that he and his wife Hilda Thomas co-founded with others in 1959. It later became the Vancouver Folk Song Society. Born in 1921, Phil Thomas was a WWII veteran forced to take a teaching job in Pender Harbour in 1949 when he was suspected of being a communist by the Delta School Board. He taught grades six to ten in a small school where his students were mostly the children of fishermen and loggers. Thomas’ neighbour in those days was the author and fisherman Bertrand Sinclair who inspired Thomas to collect distinctly British Columbian songs. In the early 1950s, Thomas first adapted and augmented Sinclair’s lyrics for a song, “The Bank Trollers,” about commercial fishing (as distinguished from gillnetting and seining). A CD entitled Phil Thomas and Friends: Live at Folklife Expo 86 includes the song “Bank Trollers” which was first published in Thomas’ Twenty-Five Songs for Vancouver 1886–1986 (1986). 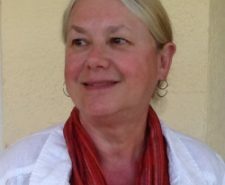 While Hilda Thomas was always involved in politics until she died in 2006, once running unsuccessfully for the provincial NDP in the Point Grey riding where they resided, collecting and field recording original B.C. material was Thomas’ lifelong passion. Much influenced by the song-collecting of Edith Fowke in Ontario, Thomas contributed songs to some of Fowke’s books and to a 16-part CBC radio series entitled The Songs and Stories of Canada. Thomas’ best-known song, “Where the Fraser River Flows,” was written by Joe Hill and first sung in 1912. Where the Fraser River Flows was also the title of a CD made by Thomas. Thomas’ book Songs of the Pacific Northwest was revised and expanded in 2006. It included a dual-CD compilation from Cariboo Road Music, Songs of the Pacific Northwest: A Tribute, drawn primarily from songs Thomas had gathered through his field recordings and research. The audio collection features Thomas’ final public performance as well as 40 other Northwest musicians singing 37 songs, 28 of which are in the book. In 2003, Jon Bartlett and Rika Ruebesaat released a CD drawn from Thomas’ collecting work from the early 1950s to the late 1970s, The Young Man from Canada: BC Songs from the PJ Thomas Collection. The approximately 500 songs in the P.J. Thomas Collection in the Sound and Moving Image Division of the Royal B.C. Museum mainly showcase indigenous songs of fishing, mining, logging and homesteading. Most were donated in 1975. Rare Books and Special Collections at UBC has 7,240 items in its Philip J. Thomas Popular Song Collection. In Pender Harbour, Thomas’ neighbour was the legendary B.C. author and fisherman Bill Sinclair who inspired Thomas to collect distinctly British Columbian songs. Sinclair’s song ‘Bank Trollers’ is adapted from Sinclair’s words [See Bertrand Sinclair entry]. Thomas has recalled: “My neighbour in Pender Harbour in 1951, the author-fisherman Bill Sinclair, wrote a 147-line narrative verse. The poem was published on the centre-fold of a 1953 pamphlet of the Vancouver Peace Assembly. In 1978 using the form and text of Sinclair’s first three stanzas, I made this 47-line adaptation as a song, which I sang at the first Vancouver Folk Music Festival. Trolling is to be distinguished from gillnetting and seining.” Thomas introduced the Japanese fishermen into Sinclair’s lyrics. Although Thomas had sung the song for many years, a published version of the Bank Trollers first appeared in Twenty-Five Songs for Vancouver in 1986. Thomas later added it, along with eleven others, to an expanded version of Songs of the Pacific Northwest (1979), when that book was revised in 2006. The enlarged edition of Songs of the Pacific Northwest, edited by Jon Bartlett, was made available in its second printing from Hancock House Publishers Ltd. and Rainshadow Gallery. An audio companion to the book was also made available from Cariboo Road Music entitled Songs of the Pacific Northwest – A Tribute. The materials on this dual-CD compilation were drawn primarily from the collection of songs Thomas gathered through his field recordings and years of research. The audio collection features Thomas’ final public performance as well as 40 other Northwest musicians singing 37 songs from the PJ Thomas Collection, 28 of which are in the book. In 2003, musicians Jon Bartlett and Rika Ruebesaat released a CD drawn from Phil Thomas’ collecting work from the early 1950s to the late 1970s, The Young Man from Canada: BC Songs from the PJ Thomas Collection. Folklorists and teachers, Bartlett and Rubesaat perform at folk festivals and are members of the Vancouver Folk Song Society. The approximately 500 songs in the PJ Thomas Collection at the Aural History Archives of the Royal B.C. Museum mainly showcase indigenous songs of fishing, mining, logging and homesteading. Most were donated in 1975. Thomas was influenced by the song-collecting of Edith Fowke in Ontario. He contributed songs to some of her books and to a 16-part CBC radio series entitled The Songs and Stories of Canada. Songs he gathered were reprinted in British Columbia Library Quarterly (July 1962), More Folk Songs of Canada (Waterloo 1967), Canadian Folk Songs for the Young (Vancouver 1975) and Singing Our History (Toronto 1984). Thomas’ best-known song, Where the Fraser River Flows, was written by Joe Hill and first sung in 1912. Where the Fraser River Flows was also the title of his own CD. The CD entitled Phil Thomas and Friends: Live at Folklife Expo 86 includes the song Bank Trollers. 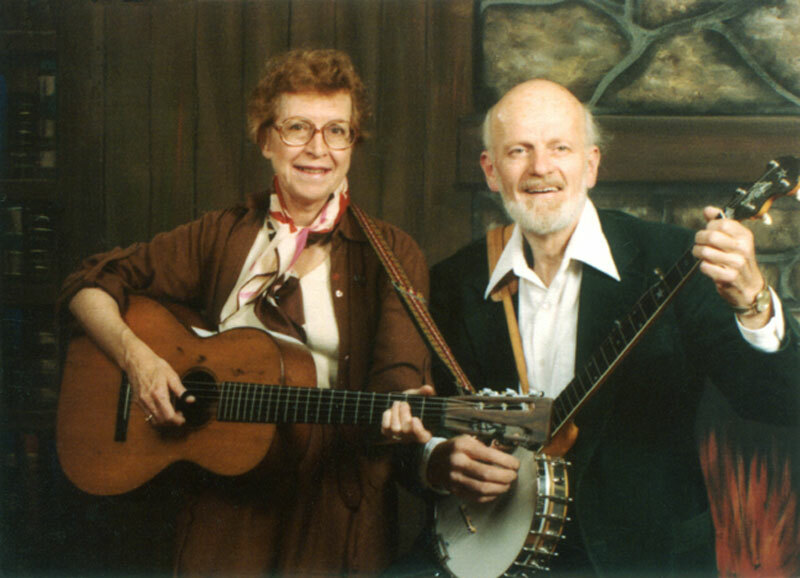 Until he died at age 86 on January 26, 2007, Phil Thomas remained active as a banjo player, singer and composer in the Vancouver Folk Song Circle, an organization that he and his wife Hilda Thomas (who died in 2006) co-founded with others in 1959. It later became the Vancouver Folk Song Society. Heritage Society of British Columbia’s Personal Achievement Award. [Dale McIntosh of the University of Victoria published History of Music in British Columbia (1989), a reference guide to B.C.’s musical ensembles and major musical personalities from 1850 to 1950. With ethnomusicologist Wendy Bross Stuart, John Enrico published a 519-page study, Northern Haida Songs (1996), which situates Haida music in the context of the Northwest Coast and presents a collection of 128 songs, fully transcribed and analyzed, representing some 20 types of songs. For other B.C. 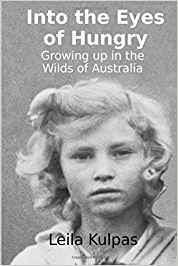 authors who have written about music—from Mart Kenney and Dal Richards to Will Millar and Joey Shithead—see abcbookworld entries for Adams, Bryan; Adaskin, Harry; Anstey, Robert; Armstrong, John; Bachman, Randy; Baldry, Long John; Bates, Morris; Becker, John; Bradshaw, M. Doris; Brown, Heide; Bruneau, William; Campbell, Amy; Case, George; Cavoukian, Raffi; Chesher, Deborah; Chesterman, Robert; Childerhose, Buffy; Chong, Kevin; Clyne, Dorothy; Crich, Tim; Cunningham, Rosemary; Densmore, Frances; Duke, David Gordon; Forbes-Roberts, Ron; Gati, Laszlo; Giese, Rachel; Gothe, Jurgen; Gray, Martin; Gregory, Hugh; hagarty, britt; Halpern, Ida; Headrick, Paul; Hendrix, James Al; Hicks, George; Hryniuk, Angela; Hughes, Mary E.; Jackson, Lorna; Keithley, Joe; Kendy, Emily; Kenney, Mart; Kivi, K. Linda; Konieczny, Vladimir; Le Bel, Pauline Eulalie; Lee, David; McGuire, Ra; McLaren, Jean; Millar, Will; Mitchell, Joni; O’Connell, Sheldon; Pearce, Christian; Potter, Greg; Reid, Jamie; Richards, Dal; Robinson, Red; Saidman, Sorelle; Salloum, Trevor; Schafer, R. Murray; Schwartz, Ellen; Setterfield, Gwenlyn; Slim, H. Colin; Slyne, Dorothy; Smith, Bill; Soret, Mike; Stevenson, Richard; Swanton, John; Tenzer, Michael; Thomson, Robert S.; Thrasher, Alan; Tidler, Charles; Truax, Barry; Tyson, Ian; Varty, Alex; Walker, Carl Ian; Walter, Chris; Wooton, Carol.] @2010. This CD features the collecting work of Phil Thomas, a folklorist deeply attached to the historical and cultural roots of his native province. The PJ Thomas Collection, now housed in the Provincial Sound Archives, comprises the material he himself collected between 1954 and 1975. Some of the material saw print in the publication of Songs of the Pacific Northwest (Saanichton: Hancock House Publishers, 1979) and more was released on his LP, “Where the Fraser River Flows” (1980). The European development of BC occurred very late in the history of traditional folk music, and much of the material Thomas collected was not at first glance folk music at all. Where were the Child ballads and the love lyrics, so ubiquitous in the eastern provinces? In their place, Thomas presented a mélange of Tin Pan Alley and hymn tunes, with textual reworkings from the same sources, often so full of technical talk (see “Taku Miners”) as to be all but incomprehensible. But what Thomas showed in his collection was that the history of folk song in this most westernmost province was a history of struggle: the struggle to harvest and mine the natural resources (fish, timber, coal and metals), the struggle between the early capitalists and their work forces, and the struggle with the landform itself, allowing such easy access from the south and resisting it from the east. That this material was “folk song” was not quickly accepted, and Thomas argued that the same characteristics (anonymity, wide dispersal, variant texts) are found both in traditional “folk song” and in the songs he himself collected in BC. He looked to the functional reasons for these characteristics: a work force that was mobile, that was more attuned (because of its mobility) to industrial organization than what the Wobblies called the “home guard”, and that was familiar with the world of commercial song. It was natural that they should themselves remake these songs to speak of new conditions. The songs in his collection are in the main from logging camps, from fishermen and from the constantly roaming hard rock miners, men who until just yesterday formed the overwhelming majority of the male working population. To these categories might be added songs of transportation—of railways, tugboats and wagon roads—songs of the armed forces (mostly rude squibs about military conditions) and songs made by Wobblies (the BC name for the Industrial Workers of the World, a union/party made by and for those who did not fit the polite labour unionism of the time). The songs he collected are overwhelmingly male-made and -sung. If there was ever a body of material made by women of their equally hard but much more lonely work, Thomas never found it. SONG LYRICS ARE LITERATURE. ALMOST all of the song lyrics we hear in British Columbia are imported. But the Vancouver Industrial Writers Union has marked its tenth anniversary by joining forces with Fraser Union, a folk music ensemble, to release Split Shift: Songs and Poems of the Workplace (Octopus Books, $10), a cassette of mostly British Columbian songs and poems about daily working lives. Four of the songs were adapted or collected by B.C. folklorist and author, Phil Thomas, including the Pender Harbour fishing shanty, ‘Bank Trollers’, with lyrics by Bill Sinclair. As the Pete Seeger of B.C. musical history, Thomas has done more to collect and preserve indigenous B.C. lyrics than anyone in the province. Born in Victoria, World War II veteran Thomas was suspected of being a communist while teaching at Delta Senior High School in 1949. It turned out to be a very lucky break for the history of B.C. musical literature. 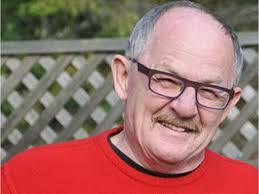 Forced to take a remote teaching job in Pender Harbour, Thomas befriended his next-door neighbour, the once famous. B.C. novelist Bertrand ‘Bill’ Sinclair. Although Sinclair had achieved unprecedented sales with set-in-B.C. novels like Poor Man’s Rock, he had taken up full-time commercial fishing in 1932. Thomas, on the lookout for meaningful music to teach local students, wrote down the lyrics to one of Bill Sinclair’s sea shanties. Twenty-five years later Phil Thomas found himself donating an invaluable collection of 5OO made-in-B.C. folk songs to the provincial archives. Included in his archives were more Sinclair manuscripts and the original lyrics Sinclair had printed in B.C. Fisherman magazine. 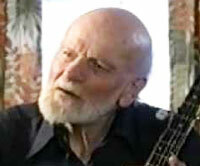 As B.C.’s leading folk music historian, Thomas also published two books, Songs of the Pacific Northwest (1979) and Twenty-Five Songs for Vancouver, 1886-1986 (1985). It wasn’t always easy. Some of the singers needed to be reassured that Thomas wanted their music for the right reasons. And many of the working class composers were migrant workers, habitually moving from one job to the next. Once, in a Windermere beer parlour Thomas heard about a celebrated local singer named Buster Tegart. A fishing guide and mountain man who organized pack trains, Tegart lived deep in the Rocky Mountains. After a long and arduous drive, Thomas found the local singer, only to discover Tegart was too inebriated to sing a note. Thomas says that the richest folksong tradition in B.C. probably lies with the native peoples. Other non-English speaking groups such as the Doukhobors and the Finnish settlers of Sointula have also continued and developed extensive musical cultures. To mark its 30th anniversary this year, the Vancouver Folk Song Circle is hosting a celebration on September 20th at the ANZA club, at West 8th and Ontario in Vancouver. It’s open to the public, by donation. Coincidentally Dale McIntosh of the University of Victoria has published History of Music in British Columbia (Sono Nis $27.95), a reference guide to B.C.’s musical ensembles and major musical personalities from 1850 to 1950. 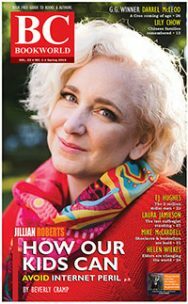 Last year Ellen Schwartz also published a book about the lives of seven Canadian female singer-songwriters, Born a Woman, (Polestar) which includes interviews with Rita MacNeil, Sylvia Tyson, Ferron, Connie Kaldor and others.